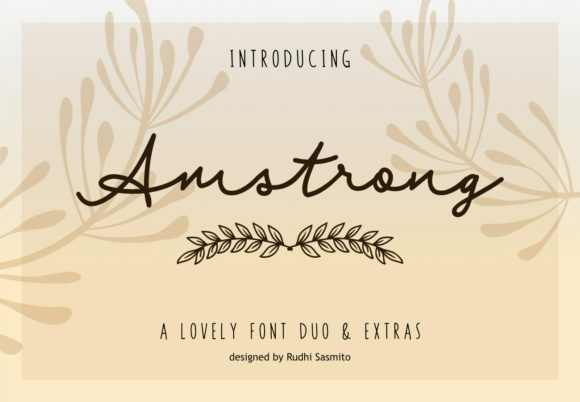 Amstrong Duo Font is a beautiful and modern handwritten duo. It includes elegant variations which can be combined perfectly. This luxurious font is stylish and versatile so it can be used in a plethora of designs in both digital and print applications. It's perfect for signatures, watermarks on photography, quotes, wedding, fashion, letters, invitations, business cards, logos, branding, magazines, social media, advertisements, product designs, and many other design projects.